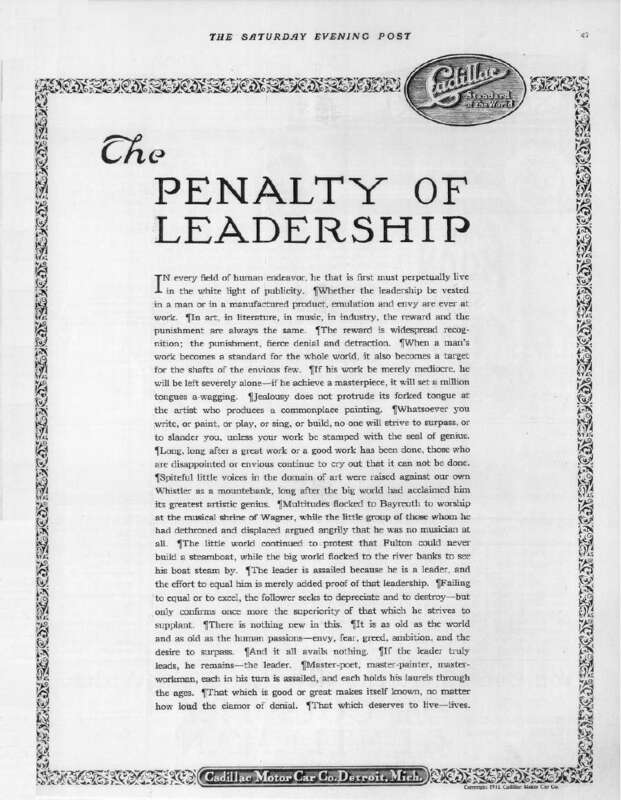 The above essay was produced as an advertisement for Cadillac Automobiles in 1915. It is widely believed to have reversed the company’s fortunes when it ran (and it only ran once). It served as the identity for the brand for many years thereafter. Elvis Presley was so inspired by this text that he had it framed and hung in his bedroom. Thanks to @IanHucklesby for telling me this story.